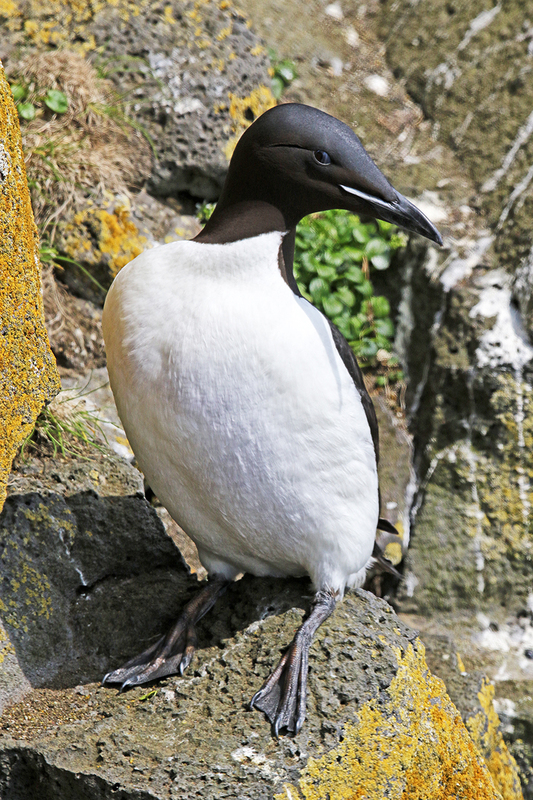 A thick-billed murre perches on a narrow ledge, where its eggs are also laid without the protection of a nest. 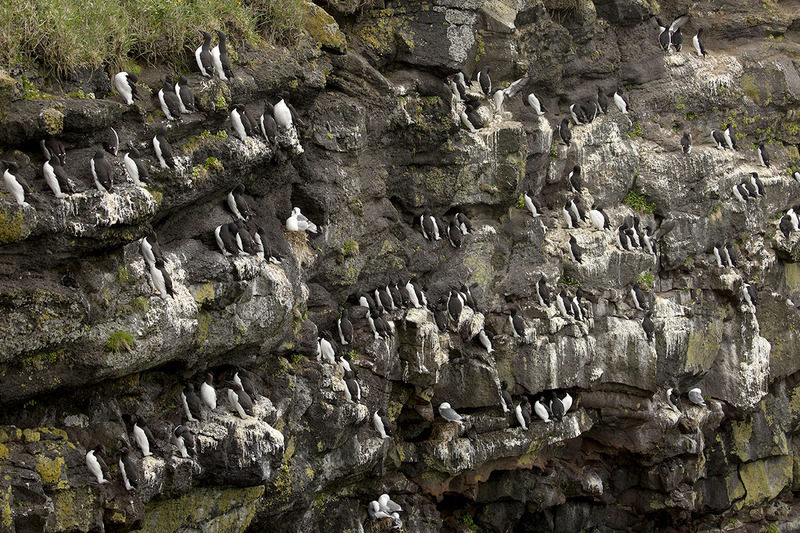 Thick-billed murres, pictured, roost and nest on narrow cliffside ledges and lay extremely pointed eggs. 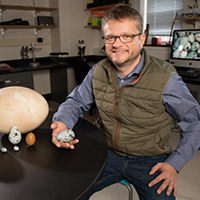 To put the theory to the test, Hauber and Hays turned to a 3D printer that can manufacture fake eggs in a variety of shapes and sizes. 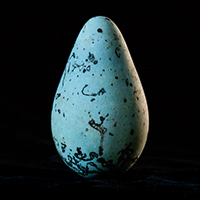 By altering individual shape variables and testing them singly or in combination in an “egg-roll” test, the researchers were able to determine which factors were most likely to keep the egg from straying far from its original position. 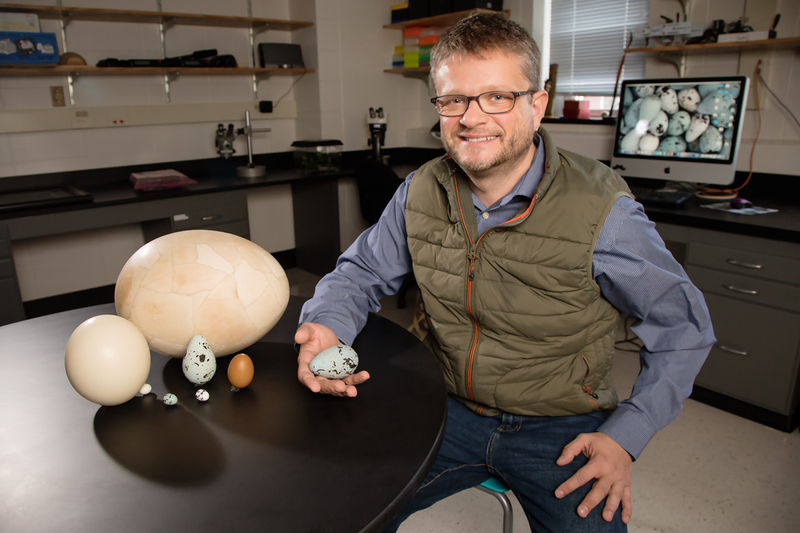 “We found that conicality – the degree to which the pointed end of the egg mimicked a cone – suppressed egg displacement on surfaces inclined more than 2 degrees,” Hauber said. 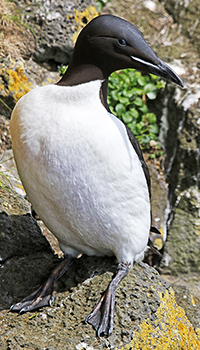 At lower inclines, however, conicality only mildly increased egg displacement. 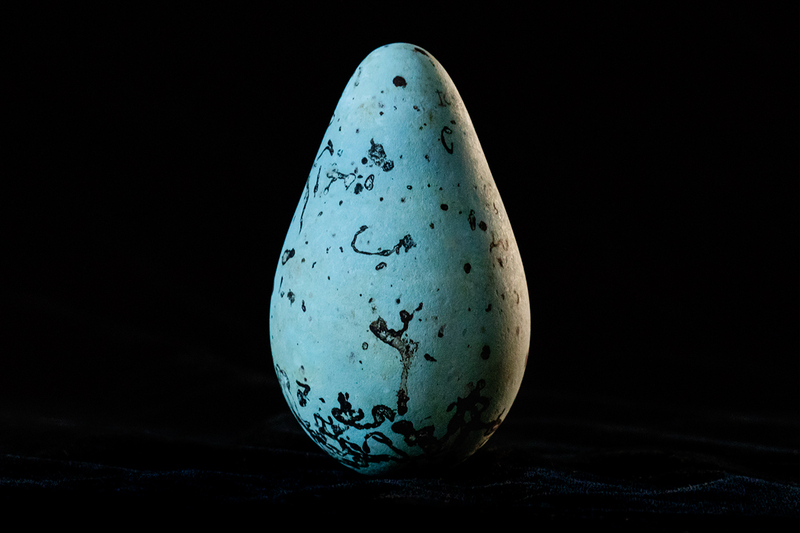 The more conical the egg, the less distance it will roll on slanted surfaces, a new study finds. To reach Mark Hauber, call 217-300-7127; email mhauber@illinois.edu. 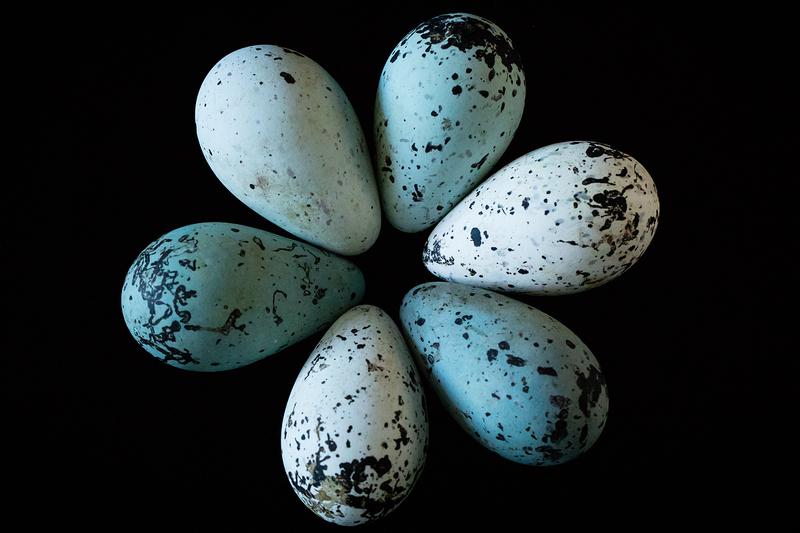 The paper “A morphological analysis of avian egg shape in the context of displacement dynamics” is available online and from the U. of I. News Bureau.